← Let’s get basted tonight! 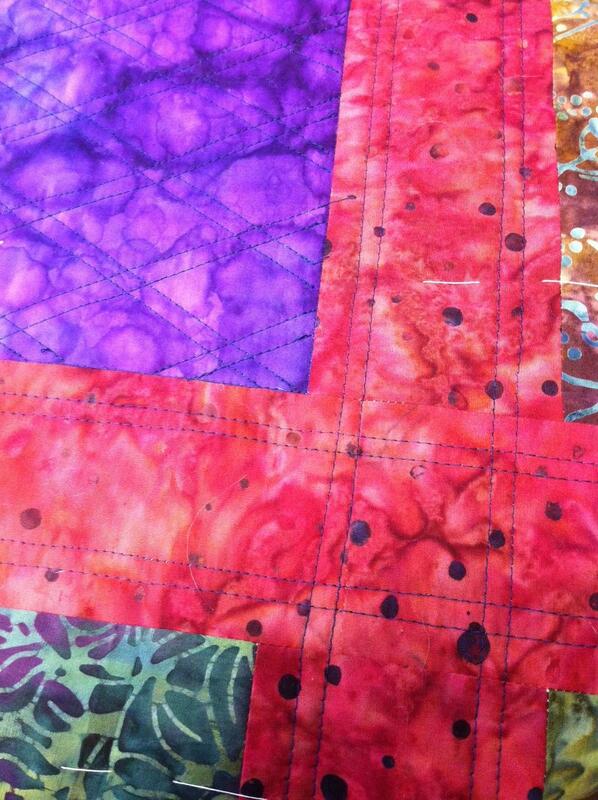 I love machine quilting. I love it so much that inspired me to purchase my Bernina 440QE. I don’t regret it at all. When I am quilting a project, I like to consume one bobbin of thread a day. Sometimes it feels like I am limiting myself, since I make a rule not to sew after the bobbin is gone. It’s for my own good, since moving a large quilt around wreaks havoc on my shoulders and wrists. It is also a good signal for me to clean the machine and change the needle. Other days, it feels like that bobbin will never end. I know it must be running low, but every time I peek around behind the presser foot, those stitches are still trailing along. Still, I know that if I use up that one bobbin a day, I will see a satisfactory amount of progress. Why do I find it so difficult to apply this principle to the rest of my life? If I did, my house would be clean, my yard would be weeded, and all my projects would be finished. Maybe it’s just not as satisfying as quilting a bobbin a day. This entry was posted in Quilting, sewing and tagged quilt, Quilting, Sew, sewing. Bookmark the permalink.